At first glance, you might wonder why in the world anyone would need to work on their breathing. Isn’t breathing something you do without thinking anyway? Of all the things you could spend your time on, why would you work on your breathing? Turns out, ensuring you are breathing properly is one of the most profound things you can do for your emotional, mental and physical wellbeing. It can help your brain and body perform better with challenging tasks, support your mood, healing and detoxification, help you sleep better and even reduce asthma. Since breathing is one of the most basic functions of the body, it forms a foundation for everything else we do on a daily basis. Unfortunately, experts believe most people only use ten to 20 percent of their breathing capacity most of the time. This leaves us essentially “hyperventilating” with the central nervous system on overdrive and our stress response constantly working. Use your breath to increase your energy. As a result, you might experience a multitude of negative effects without ever knowing that they are tied back to something as basic as breathing. You may find you have low energy, insomnia, high blood pressure or even cancer, as discovered by German scientist and Nobel prize winner Otto Warburg in the 1930s. And so, if you take some time to re-learn healthy breathing habits, you might be surprised by how many benefits can be created by this simple practice. Pranayama is one type of conscious breathing. It comes from ancient Indian yogic traditions written in the Hindu scripture, Bhagavad Gita. The meaning of the word itself implies moving of the “prana,” the vital energy of the body. The ancient yogis knew the incredible mind-body benefits of proper breathing and modern science has provided ample confirmation. We can use the specific breathing routines established by this spiritual tradition which are just as beneficial today as they were thousands of years ago. But before we dive into learning the techniques, let’s examine the benefits in a little more detail so that you are really convinced to give it a try. One of the reasons breath work is so fascinating is because it’s the only gateway to our automatic body functions that we can actually control. Our heart beats, blood flows, hormones excrete and digestion works automatically — but all of these functions can be affected (positively or negatively) by the breath. Therefore it’s not hard to imagine that there are many benefits to consciously improving your breathing. 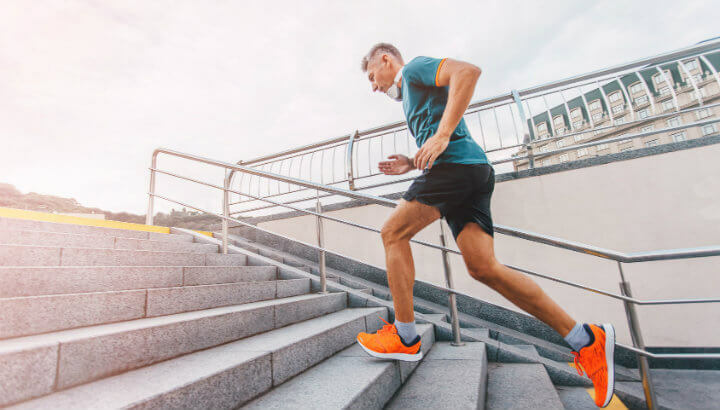 It seems obvious when you think about it: since breathing is the mechanism by which the cells and tissues of the body receive oxygen and discharge waste materials, improving your breathing can positively affect your physical performance. Breathing exercises are used in training for athletes, law enforcement and military, where it has been observed that a candidate can fail a running test one day, then learn to breathe properly and pass the same test the very next day. If you have trouble managing stress or experience anxiety, you may also find it hard to sleep well. Conscious breathing exercises can help you calm down and get better rest. On the flip side, you can also combat drowsiness and low energy by purposely using the breath to wake yourself up and get energized. Another benefit of conscious breathing is that it brings your focus into your body and the present moment. It pulls your attention out of past fears and future worries and brings you back into feeling alive in the moment where you are now. This may also help you focus on the task at hand, by increasing self-discipline and resistance to distraction. As if those benefits aren’t enough, you can also improve bodily healing and immune system function with breathing. When you breathe properly, you pull the nervous system out of the fight-or-flight response and allow it to enter resting and healing mode. This supports the sinuses in producing nitric oxide which combats bacteria and boosts the immune system. Pranayama is easy and just requires a little dedication. By now you’re probably wondering how you can get started with getting these miraculous benefits for yourself. The most basic way to incorporate proper breathing is to breathe into your belly more consistently. Start by assuming an upright posture (no slouching!) and breathe through the nose, deep into the belly and pelvis. Inhale and exhale fully, allowing the exhale to be longer than the inhale. This is a good exercise to do any time you feel stressed, or before going to sleep. If you would like to feel more energized and awake, try this one: Breathe rapidly in and out through your nose about 30 times. The breath should be loud as if you are huffing and puffing. Do this while extending your arms upward overhead on the inhale, and quickly bending them down as you exhale, as if you are pulling yourself into a chin-up. This serves to “pull”’ energy into the body and you will feel very alert afterward. If you feel dizzy simply resume a slower rhythm of breathing. Another good exercise to add to your repertoire is the detoxifying breath or lion’s breath. You’ll probably want to do this one in private, as it’s a bit silly looking! Inhale deeply into your belly, then breathe out quickly while opening your mouth and extending your tongue. Allow the out-breath to be loud, and imagine all the tension and toxins leaving your body as you do this. Repeat several times, then resume normal breathing. You should feel refreshed and de-stressed. 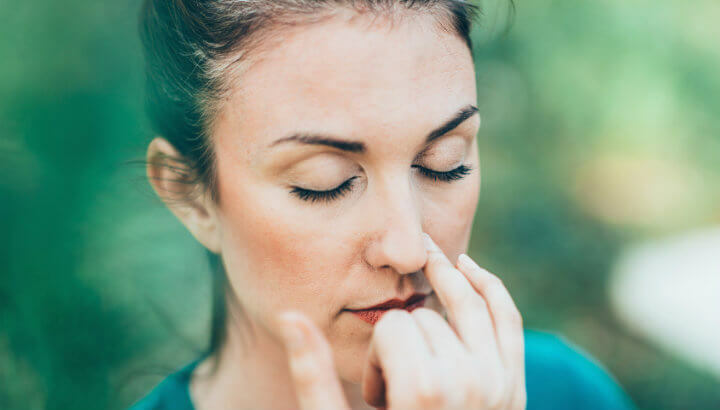 Finally, let’s learn the focusing breath, sometimes called “stair breathing” or “interrupted breathing.” Start by taking a few slow, calming breaths. Then begin to inhale in “steps,” breaking the inhale into three to five parts to fill the lungs and belly. Exhale smoothly and fully. Repeat this a few times, then swap the pattern, inhaling smoothly and breaking the exhale into three to five steps. Finally, do one repetition with both the inhale and exhale in steps, and finish with a few more deep calm breaths. Incorporate these powerful practices into your morning and evening routine, or anytime throughout the day when you would like to take a conscious moment to center yourself and check in with your mind and body. This is just one way to take purposeful control of your holistic well-being. Hey Buddy!, I found this information for you: "4 Tricks To Increase Your Energy And Focus (With Pranayama)". Here is the website link: https://www.thealternativedaily.com/4-tricks-to-increase-your-energy-and-focus-with-pranayama/. Thank you.